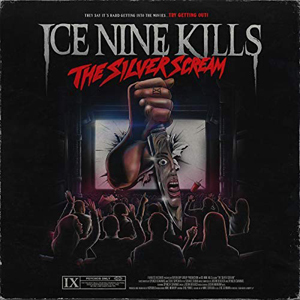 ICE NINE KILLS have dropped the video for "Stabbing In The Dark" from their new album The Silver Scream. Watch it on KNAC.COM HERE. "I am proud to present what I believe to be the most intense installment yet of The Silver Scream film," said singer Spencer Charnas. ""Stabbing in the Dark" is our tribute to John Carpenter's holy grail of slasher flicks — Halloween. We also combine franchises here with a nod to A Nightmare On Elm Street, as the security guard in the clip is played by the fantastic Ricky Dean Logan. He met his demise in Freddy's Dead and that particular kill, where he gets his ear cut off, is widely known as Robert Englund's favorite death in the series." "He's been in everything from horror to Seinfeld to Back to The Future, so I knew he would be able to capture the essence of terror but with an underlying tongue-in-cheek spirit," he furthered. "The amazing people at Haunted Overload horror park in Lee, New Hampshire lent their amazing resources to us to make this the most visually stunning episode so far," the singer finished. The Silver Scream arrived on Friday, October 5 via Fearless Records. All of the album's 13 anthems are based on 13 respective horror classics.